Biz Markie is a hip-hop icon. His many talents including beatboxer, rapper, producer, and DJ. Instead of fading away like many other old-school rappers, Biz managed to increase his popularity when he became a permanent fixture on “Yo Gabba Gabba.” Biz’s Beat of the Day was one of the more popular segments on the show, and introduced a new generation to hip-hop. In October, Biz will continue his journey as a hip-hop ambassador when his hit song “Just a Friend” appears in the animated comedy, The Book of Life (In Theaters – October 17, 2014). 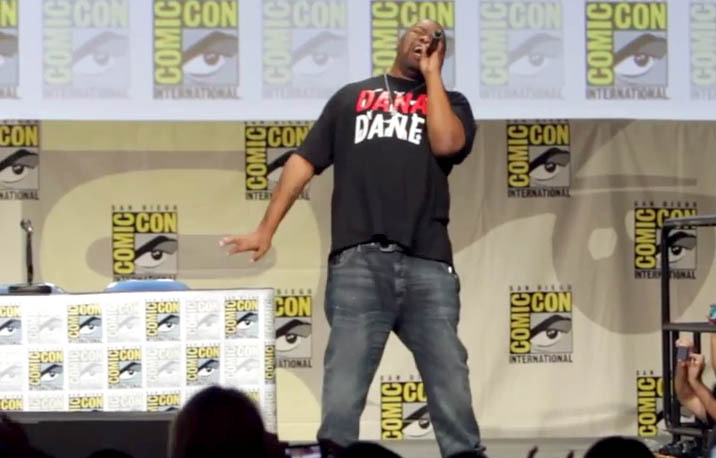 In this video, Biz Markie performs “Just a Friend” with Channing Tatum, Christina Applegate, Ron Perlman and other cast members from the movie. Biz gets extra props for wearing a Dana Dane T-shirt onstage.